Like the 2011 sale, this year's book sale appeals to readers of all ages. EAST MARLBOROUGH – The countdown is on. 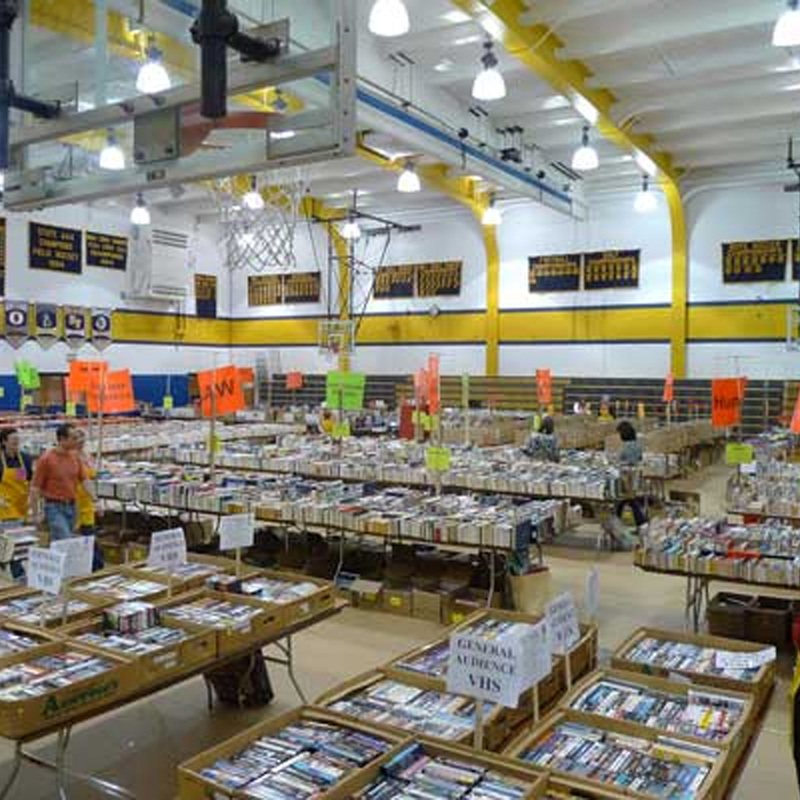 Hundreds of volunteers have painstakingly sorted through thousands of books donated by neighboring communities all in support of this weekend’s Annual PTO Used Book Sale at Unionville High School. 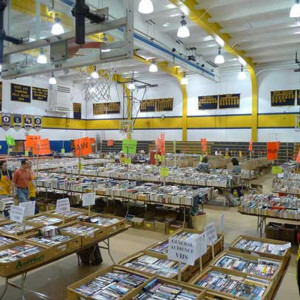 This year’s book sale will take place in the gymnasium of Unionville High School, 750 Unionville Road, in Kennett Square. Sale hours are Friday evening, February 24 from 5 p.m. – 9 p.m. and Saturday, February 25 from 9:00 a.m. – 2:30 p.m. A special $8 a bag sale will take place on Saturday from 3 p.m. – 5 p.m. Come purchase a bag for $8 and fill it to the rim with books of your choosing. Last year, well over 400 bags were sold. “It’s rewarding to support the book sale because you feel good about doing something positive for the school,” says Cindy Hineman, UHS Book Sale Co-Chair. “At the same time, it’s a great opportunity to connect with the kids,” she adds. Parents and students alike support the sale not only through book donations but through their volunteer time. Many high school students return year after year to volunteer, some while also earning community service hours needed for college applications, scouts, or for school clubs. “I initially started volunteering at the book sale to earn service hours for National Honor Society,” says Matt Olsen, a senior at UHS. “Now I volunteer because it’s fun to help out with my friends. We like to be active and we enjoy playing sports. This is something else we can do together to keep us busy,” he adds. And, it appears, UHS students who volunteer do quite a lot. “We basically do anything they ask us to do like heavy lifting, breaking down boxes, or labeling and sorting books,” says Olsen. In fact, Olsen estimates that he has handled between 5,000 and 10,000 books during his volunteer time. And what a process it is. With over 80,000 books from a variety of genres, each book needs to be sorted by genre, individually priced, and then placed on pallets awaiting the sale. “One reason our book sale is so successful is because we are a well-read district with a lot of current books,” notes UHS Book Sale Co-Chair, Julie Bernstein. Book variety is not the only reason shoppers flock to the sale. Book prices range from 50 cents to only $4 for some hardback books. In addition to books, other items available for sale include audio books, DVD’s, and music CD’s. This year, UHS hopes to make additional money off books remaining after the sale by partnering with B-Logistics, a leading online used book seller, to sell the books and share the profits with the school. Proceeds from the book sale directly support the Unionville High School PTO General Fund which benefits students through grant projects and enrichment programs. For more information on the sale, visit www.uhsbooksale.org.